Recently we went to a restaurant where the service was so abysmal and we were treated in such an off-hand way that I asked for the “Livro de Reclamações” (this is the complaints book). Despite being invisible for 90 minutes it was amazing that the manager of the establishment, like a Gene from the lamp, suddenly materialized by my side. He was pleading with me not to make an entry in the complaints book. 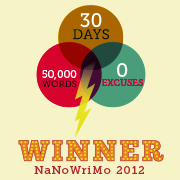 Ten minutes later, still no complaints book, and hubby was out of the door – he just wanted something to eat. I was furious, and wanted to stand my ground. Begrudgingly, however, I had to concede defeat to the now grovelling manager and I left muttering that we would not be eating there again. The incident, however, left doubts in my mind concerning my rights as this was the second time I had asked for the “Livro de Reclamações” and it was refused. Was it because I was English and they assumed I was a tourist and did not know my rights? This led me to investigate further and share the following information with you. All establishments with a complaints book MUST clearly display the poster. “This establishment has book of complaints” I was recently in a shopping centre in the Algarve and tested the theory and yes some notices were clearly visible. 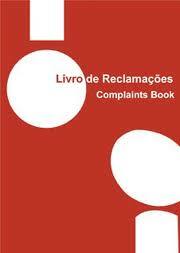 What is the “Livro de Reclamações” (Complaints Book)? The latest edition of the book is now in Portuguese and English. Complaints are recorded in the book in triplicate and must be completed in a clear and concise manner. The business/establishment must give you a copy of the complaint within five days and send the second copy to the authority responsible for their field of business for review. The third copy of the complaint remains in the book. – Use a biro so the complaint cannot be erased. – Write clearly and in block letters so it is easy to read. – Note the reason(s) for your complaint along with the date and time it occurred. – Keep all documentation relating to the complaint i.e., invoices, brochures, photos, contracts etc) plus a copy of the complaint. – If there are any witnesses take their contact details – you may need their testimony later to support your complaint. The complaint is reviewed by the relevant authority who will decide if the complaint is upheld and what penalty will apply if appropriate. Insufficient information on the complaint will result in the business/establishment having ten days to present mitigation in their defence. Who do you contact when Complaints book denied? 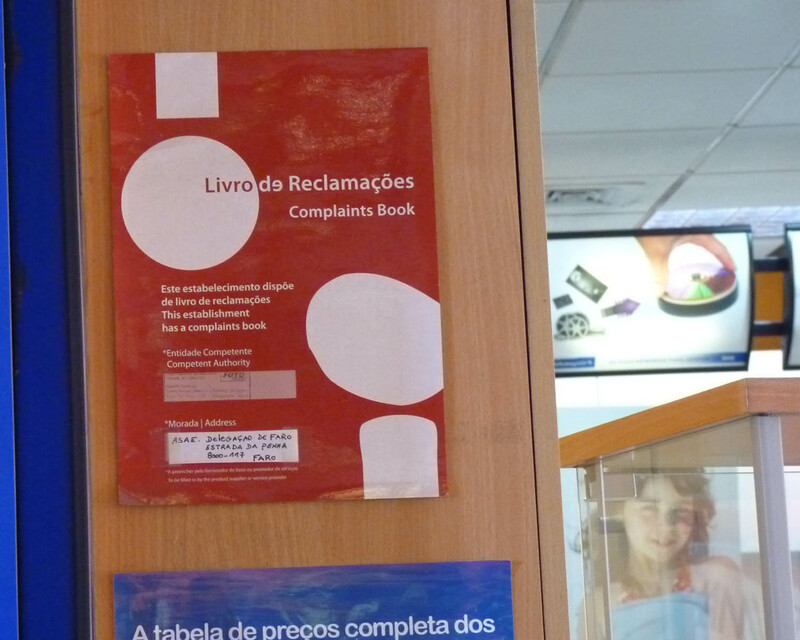 If the complaints book is denied you may either call the police to report that the your request to file a complaint in the Livro de Reclamações has been denied or you can send a letter to the appropriate authority responsible for the activity or service. A fine from €3,500 to up to €30,000 can be incurred by the business/establishment if the Livro de Reclamações is denied. However, if the police intervenes there is a minimum fine of €15,000 euros. The threat of calling the police is often enough. I do hope you find the above information useful next time you wish to complain. Very cool! I’m also a Portugal blogger…err, an armchair blogger since I don’t live there and have actually never been to Portugal. Still, I like to know about the places I wish to one day live in. Great to meet a fellow blogger! Thanks for adding my blog and the nice comments. My Portuguese is not anywhere near this level but at least I can press replay! I wish there was a similar system in France, maybe it would improve French customer service? Thanks for the comment. I genuinely hope while people have the right to complain they only make a complaint if it is as you say serious. Hi Maria, I’m not sure. You would probably need to make a complaint which you can do online. However, you may be out of time. Good luck with your quest! In this situation you should call the Police, then they are required to give you the complaints book. If do you have no sure how to fill the book, ask the policeman, because them will help you in all you need, and establishment will pay a fine. Though a wonderful idea I do not like the fact that you have to request the complaints book so they know that you are filing a complaint and they have your personal information. I think we should be able to do this privately. I believe you can now submit online. Fascinating, thank you so much for sharing this. Would it be ok if I re-blogged it one day soon? To complain on a particular restaurant name somul Portuguese restaurant where they reaped me off . Adding to my bill which I never ordered and no hospitality . Somul Portuguese restaurant in Lisbon is the worst place they reaped me off adding to my bill what we never ordered , offers me bread and cheese and olives with my meal and charged me extra and when asked they said we keep food on the table when u touch we charge it . Worst place to dine in and putting the name of Lisboa in shame . Please take action or make an enquiry .